In 1928, nothing had yet happened toward the selection of a state bird. The Bald Eagle was suggested, but public sentiment was that they didn't want to take away from the National emblem, and thus the suggestion was eliminated from the start. A questionnaire was sent to all the women's clubs across the state of Idaho to find out which bird was the most beloved. 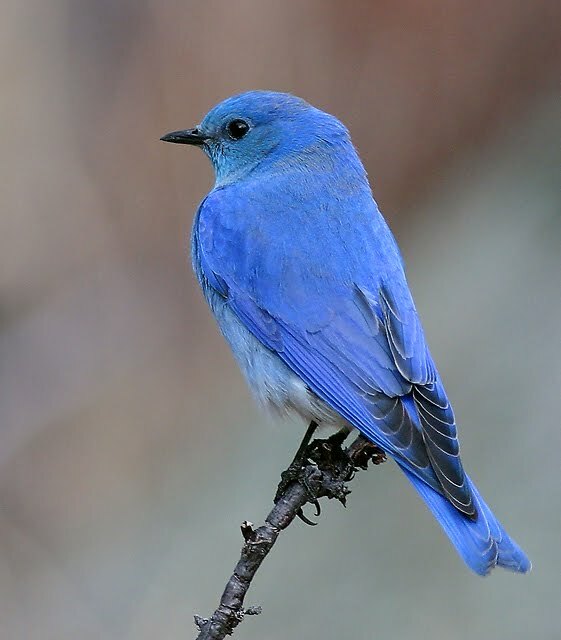 Many varieties of songbirds, the dove (presumably the Mourning Dove), game birds like the Sage Hen, were recommended, but the most popular was the blue bird (which species of blue bird was not yet specified). Meanwhile, the school children across the state were given the opportunity to vote and they too favored the blue bird. At the Federation meeting in Weiser, school votes for the state bird read "meadow lark, blue bird, and robin". Because those birds had already been chosen by other states, Mrs. Barton, as Chairman of Conservation presented the Western Tanager. 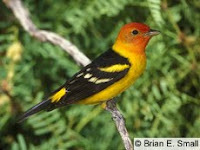 At this meeting a resolution was made to allow the school children a chance to vote to adopt the Western Tanager. Nothing happened that winter or that spring and it was determined by Governor Baldridge and the State Superintendent of Schools that the summer would be used to let Idaho's citizenry learn more about the Western Tanager and to see if people would recognize it. Mrs. Barton requested photos of the Western Tanager that she could send to the schools throughout the state to convince the children of her choice. But the National Audubon Society, the National Geographic Society, and the American Nature Association all replied that they had no photos for such a purpose (this was during the Great Depression after all). The American Nature Association wrote back with a note of encouragement to select the Mountain Bluebird species as it had not yet been chosen by any other state and that "it is friendly, nests in bird houses, and is your best choice." The County Superintendents of Schools announced that they stood behind the children's vote. The Governor hadn't recognized a Western Tanager all summer, so he favored the more common Mountain Bluebird as it was found in all the regions of Idaho (at least above 3500 feet). 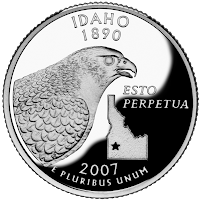 The Idaho Federation of Women's Clubs voiced that they had always been in support of the blue bird before Chairman Barton got off on her "tanager tangent". Chairman Barton resigned and as a swan song gave a final report of her futile effort to make the Western Tanager the Idaho State Bird. So, on February 28th, 1931 the Mountain Bluebird became the official state bird of Idaho, along with the state flower, the Syringa blossom. While Mrs. Barton's historical reverence provided a solid argument in favor of the Western Tanager, a bird that thrills me every time I see it...I love them both...I personally am happy that the Mountain Bluebird overcame the challenge and was chosen by the school kids. Do you ever have one of those days were you simply expect that you will see something new?! 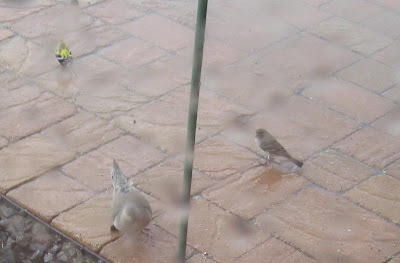 I'm not sure if it is the crazy weather today - snow - rain - snow - rain - sunshine - snow - but today was one of those days I just knew I'd see a new bird...well, at least a new yard bird. 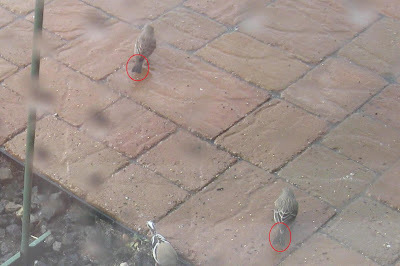 I just knew this wasn't some plain ol' male House Finch. It was something different! 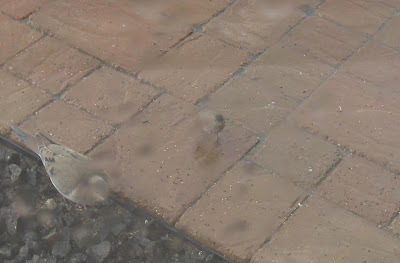 I went to my master bedroom bay window which gives me a closer look and started snapping photos with my non-professional camera, again through window glass covered with rain drops. I took 90 pictures hoping a few would turn out okay. Yes, it is kind of male House Finch-like, but notice how much more the red on this guy's cap contrasts? Also note the lack of streakiness on the breast and flanks. This last shot shows the reddish-pink on the breast. A Cassin's Finch! I've only seen them six other times, and never this close. It's always exciting to have a new yard bird too. One last photo for David Sibley's sake...notice the false face?! This male House Finch seems to be saying, "I see you in there looking at me through the rain drops." 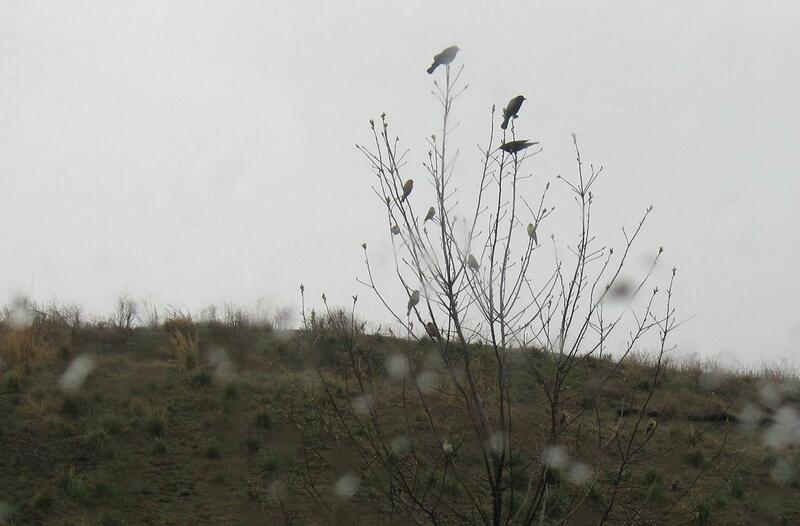 It's a beautiful rainy morning in the Boise foothills. It's even snowing occasionally. 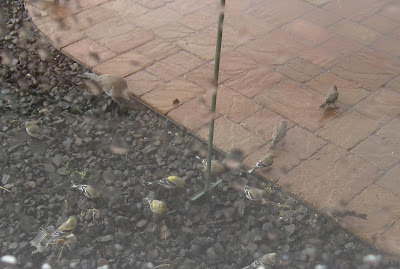 Inclement weather seems to drive the birds into my backyard where it is easy to feed. This morning in my yard I have California Quail, Mourning Doves, Red-winged Blackbirds, Northern Flicker, Western Meadowlarks, White-crowned Sparrows, Dark-eyed Junco, American Goldfinch, and House Finch. The birds seem to be really enjoying Bird House & Habitat's Treasure Valley Blend of seed. I enjoy it as much as the birds do because 100% of it is edible and desirable for the birds. Therefore, it leaves no mess and no sprouts! It is so fun to watch the American Goldfinch molt process. It seems like they went through a molt earlier this winter and now a spring molt. I can see those black caps and lemon-yellowness trying to overtake the drab brown. This photo shows the black side of the face in profile. This photo captures the darker cap. This photo is a tail comparison. Black-face is on the upper left. Finally, here is Black-face on top of the feeder showings its normal side. 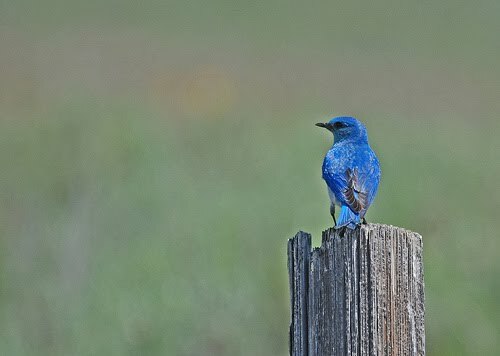 "Why is the Mountain Bluebird the State Bird of Idaho? I thought it was the Peregrine Falcon." Great question Nick! The Mountain Bluebird was designated as the State Bird of Idaho on February 28th, 1931. Why it was chosen? 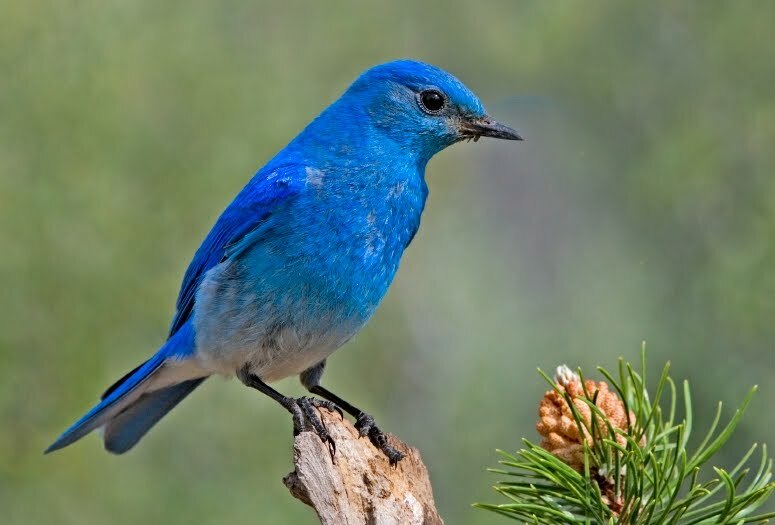 I am certain it had a lot to do with how strikingly beautiful the Mountain Bluebird is, but who proposed and campaigned for it to be the State Bird?...I don't yet know. Perhaps I need to read some old newspapers from that year and find out the story behind it. Google searches didn't yield the background story. I feel a trip to the microfilm desk at the Boise Library coming on. Or maybe some knowledgeable readers can help us out here. 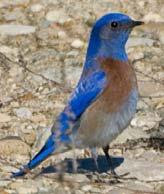 Nevada also adopted the Mountain Bluebird as their state bird in 1967. Your question also led me to discover something that I didn't know. Idaho adopted the Peregrine Falcon in 2004 as the official Raptor of Idaho in response to 4th graders studying Idaho history. How many states have an official Raptor?! For more of the background on this one, read here. Boise has been the home of The Peregrine Fund since 1984 where they study and work to conserve Peregrines and other birds of prey. 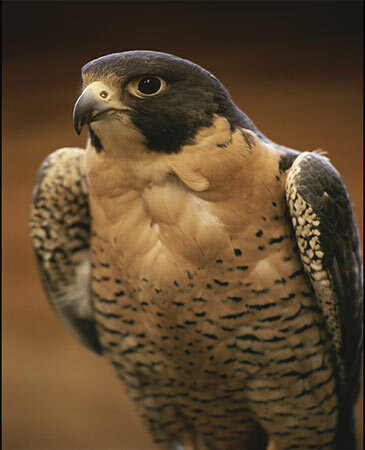 There is also a live webcam on a nest box in downtown Boise where Peregrine Falcons nest and raise their young. Click here to see the webcam. UPDATE - I went to the library to learn ... How the Mountain Bluebird came to be Idaho's State Bird. 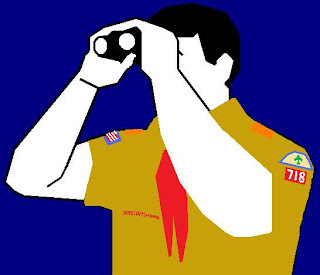 Not normally intimidated by the finer character-building miseries of inclement weather on Scouting adventures, I still got nervous as the weather on Thursday turned cold and wet. Snow and wind was forecast for Friday in the Oreana area which persuaded me to look at alternative closer locations. You pretty much need four-wheel drive to get to the Oreana Sand Caves, which is fun, but adding mud and slush doesn't sound like an enjoyable spring campout. I determined that we should try camping out at Avimor along the Spring Valley Creek Trail. It is close to everyone and if the weather turned really bad, we could just go home. Well, Friday morning it was snowing at Avimor. Most of the boys had already bailed out on the campout due to athletics or family spring break travels. This weather caused a few more to bow out too. About 4pm, the weather broke, the Sun shone through the clouds and I knew I was going on the campout no matter what, and my nine year old Kyle was coming with me. At 5pm only two other boys showed up, one with his father. Oh, these brave souls! We set up camp right where the dirt road ends on Spring Valley Creek Trail. Not too far away was a Red-tailed Hawk nest where the momma hawk squawked at us to keep our distance. We took a little hike up Spring Valley Creek Trail and everyone quickly learned that I was a birder. We saw Canyon Wren, Rock Wren, Western Bluebirds, and several other usual species. 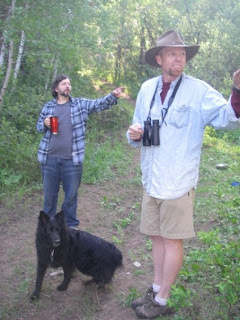 My guests were respectful and at least moderately interested in the birds I pointed out along the way. That night we cooked our dinners on the coals in the fire. If you have never eaten a hollowed out an onion, stuffed with chicken breast, cooked right on the coals, you haven't yet experienced life! The three-quarter moon shone so bright that flashlights weren't really needed as we watched the fire die down. Frost had already formed on our tents and equipment foreshadowing a long and cold night. I was sleeping pretty warm and snug, but Kyle was shivering with cold and crawled into my double-wide sleeping back to mooch off of my extreme body heat. The ground is not the most comfortable place to sleep, especially for a full-figured fellow like me. Even though I tossed and turned, I slept fairly well by campout standards. Another benefit of camping so close to my home was being able to prepare a pancake breakfast in my wife's kitchen with all its accoutrements. After a hearty breakfast we headed back into the hills and went for another hike, but this time on a trail that took as straight north from our campsite. The morning sunrise warmed the hill adjacent to us. I noticed some "bluebirds" flitting among the tops of the sage and bitterbrush. Putting my binoculars to my eyes I burst forth with wild excitement, "Those are Mountain Bluebirds!". Another Avimor official first record. I passed my binoculars around to everyone. Finally, an electric-blue colored bird that really impressed them! I asked each person if they had ever seen Idaho's State bird, the Mountain Bluebird before. This was a first for all of them. Mr. Stokes even admired the Mountain Bluebirds beauty and replied, "I could see how someone could addicted to this." Welcome to my world!!! UPDATE: How the Mountain Bluebird became Idaho's State Bird. I've been blogging about birds for almost two years now and I've been reading other bird blogs for about the same amount of time. 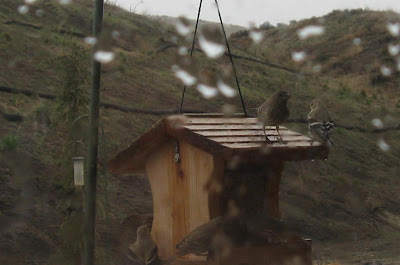 I have started to notice that blogging has helped me become a better birder in several ways. 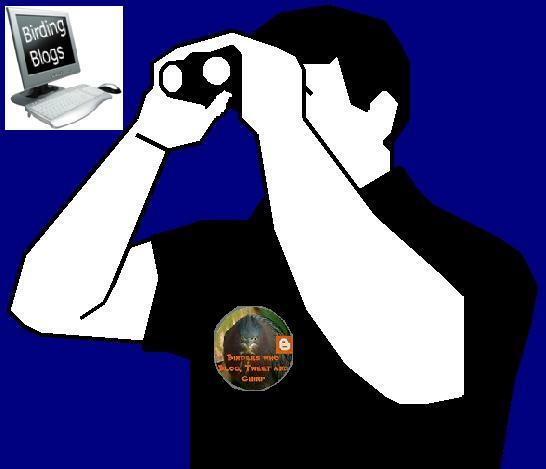 This includes Twittering in the online birding community too, which I have only been doing for a couple of months now. I didn't even realize that while I was entertaining myself, I was also building up a mental bird library. The journaling aspect of blogging helps me retain what I have learned and experienced. Blogging has pushed me to go birding more often and to go places that I probably would not have otherwise done. Getting responses and comments from readers and participation from other birders, especially related to my Idaho Birder Profile segments, continually invigorates my desire to go birding. 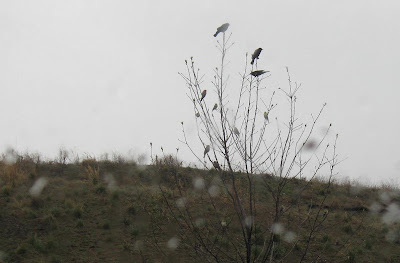 I have learned a ton by the birder profiles about where to go birding in Idaho, and I've picked up a few tips about birding style too. The biggest source of my birding skills improving has to be in simply following other birding blogs. I see photos of birds perhaps not common to my area, but by browsing blogs and Twitter daily, I see birds photographed frequently enough they are becoming familiar. I start recognizing many species without even having to read the text. The pictures and the text generally convey the habitat too. I suppose it is a little like arm-chair on-screen birding. Thank you all you bird bloggers out there! So, if you want to be a better and more enthusiastic birder, check out all the blogs in my sidebar as often as possible and keep coming back to the Idaho Birding Blog! I took my family to an undisclosed location today on a quest to see my first ever Long-eared Owl. We knew the approximate location, but overshot it and spent an hour looking in the right habitat, but the wrong place. While thoroughly searching in the wrong place, I was still delighted to discover a Red-tailed Hawk nest and even a Mourning Dove nesting on an old Magpie nest. After a phone call to a great birding friend, we got the courage to go back and look a little harder at the places we had already been. 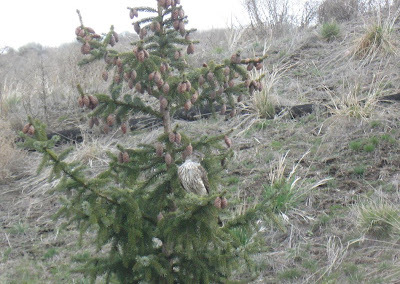 I spied the Long-eared Owl on a nest. 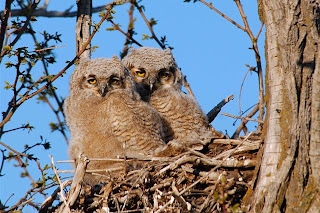 I got my family and with stern warnings to be very quiet and to walk slowly we all peeked from behind a tall sage brush down the ravine at the Long-eared Owl. 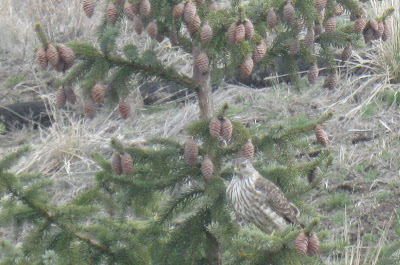 I took the photo below through my binoculars and then zoomed and cropped it. Look at her all nestled into that huge nest. My father-in-law, Lynn Davenport, calls her a rabbit on a nest. My three year old also believes it is a bunny. Momma Long-ear was certainly aware of us, but we kept a very respectable distance so that she wouldn't get too nervous and flush. I am proud of my normally wound-up kids for their reverence in her presence. She is my life bird #320 and she means a whole lot more to me than just a tick in eBird. My kids were begging me to take them on a hike, so we headed up Avimor's Spring Valley Creek Trail. Just past the first cattle gate in the steep part of the canyon up on the northeast slope were at least 8 Western Bluebirds! I always knew they were possible at Avimor, but I wasn't expecting them today. 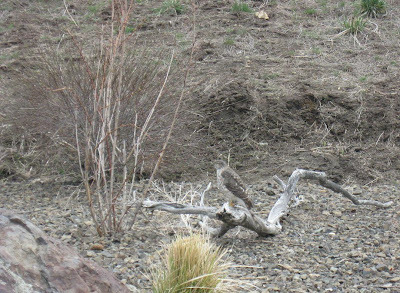 Three Red-tailed Hawks were circling above them and I could see the smaller birds moving between the rocks and brush. Before I put my binoculars on them I thought they might have been early swallows. Once I got my Eagle Optics Rangers in focus there was no doubt that they were Western Bluebirds. That makes the 105th bird species officially recorded up here at Avimor in just barely over one year! 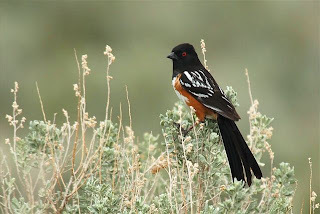 Other cool birds of note were Spotted Towhee and Canyon Wren. We discovered a Red-tailed Hawk nest and she was probably sitting on eggs. 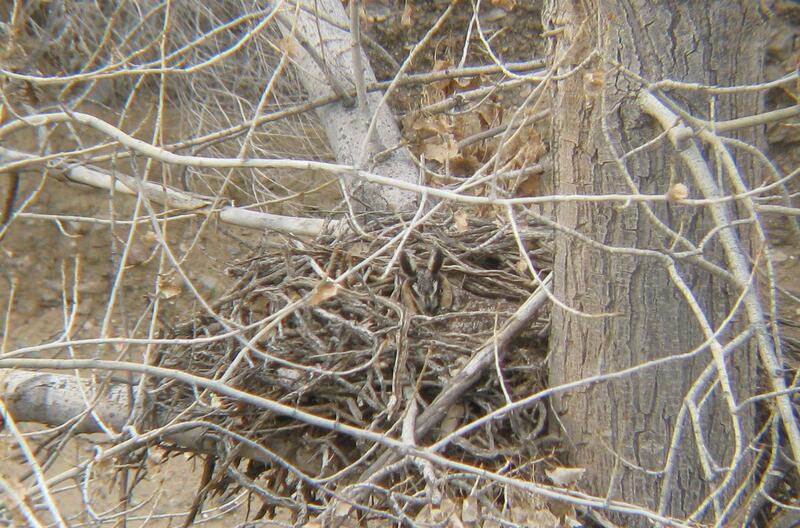 It looks like the Great Horned Owl eggs have hatched near the Avimor entry. I see a couple fluffy lumps peeking out from underneath momma, but not enough to count beaks. Momma Kestrel must be on eggs in the kestrel box my son and I built with grandpa. 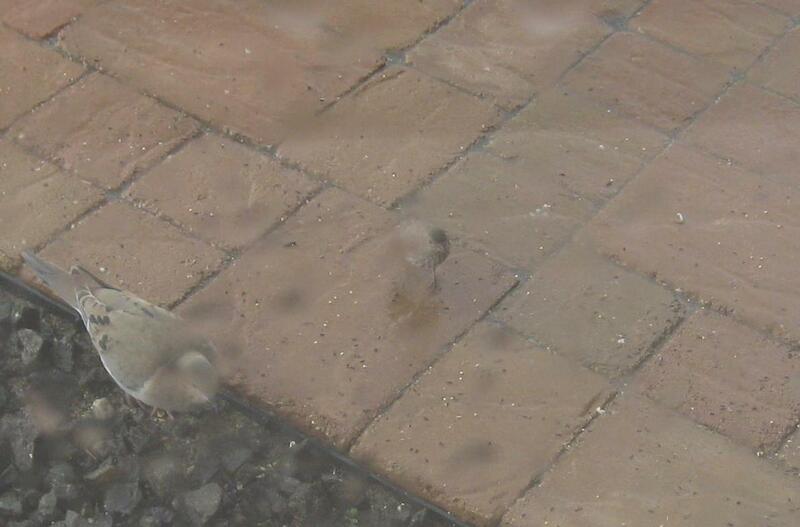 The male is sitting outside of the box defending it from Flickers and Starlings. My friends Karna and Fritz Schafer in Hailey have feeders outside 2/3’s of their picture windows. In the morning we’d make tea and walk from window to window to see which birds were coming to visit. Karna kept a note book in a kitchen drawer to list our sightings. Once I started birding I just began to see the world around me in such greater detail. The first time I watched a Lewis’s Woodpecker exhibit fly-catching behavior with a group of Robins on the Big Wood River. It was wondrous thing. Michael Wiegand and Mike Morrison: These guys have been birding in the great outdoors their whole lives. Wiegand is heavily invested with filling the feeder stations around his homes. He’s created a series of wildlife stories that demonstrate the importance/effectiveness of natural habitat. He makes his living creating those habitats around our homes. Morrison flew in his father’s crop duster aircraft at eye level with the geese and ducks up the Boise River. He’s everybody’s favorite birding guide/teacher. His photography clearly demonstrates his intimate understanding of wildlife behavior. 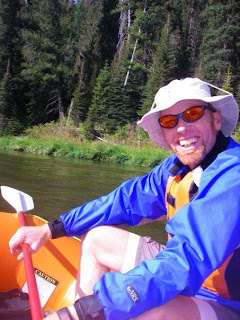 I moved here in March of 1986 and traveled extensively throughout the intermountain Northwest and Canada. I never looked up from my work until I met the Schafers in Hailey in 1993. Boy did I get hooked once I started birding with them. My best friend Jean (photo below) and I go at least once a month. Jean is new to birding and is a better spotter. I feel like May/June are our prime birding months. There is always birding someplace in our beautiful state. But birds are their most photogenic in the months of May/June. I can bird in my back yard or traipse on down the hill to Kathryn Albertson Park. I like greeting the arrival of the Yellow-breasted Chat, Lazuli Buntings, Black-headed Grosbeaks at Hulls Gulch. Further out is our always productive Snake River Birds of Prey Refuge and all the up-river areas toward CJ Strike Reservoir. One of my favorite birding spots is Canyon Hill Cemetery in Caldwell. It’s a beauty of a place that sits on a bluff above the Boise River. And then in the fall Jay Carlisle’s bird observatory gives us all the up close and personal connections with birds we could ever want AND we get to stand on the scientists’ shoulders and learn pure ornithologic science. Sun Valley/Hailey/Bellvue/Silver Creek are my first loves. Three or four days at the Malheur National Wildlife Refuge near Burns Oregon ain’t half bad either. I’ve birded in the northern jungles of Thailand and found it underwhelming. The native peoples have stopped burning the forests but the only birds I ever saw were LBJ’s far up in the canopies. 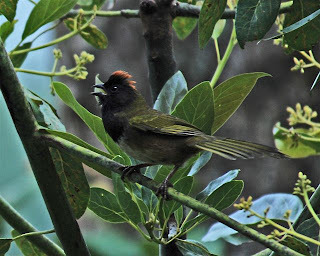 Birding the golf course vegetation in Zihuatanejo, Mexico is very productive…. but you have to keep an eye out for the rather large crocodiles. My friend Georgia Conti has a guest house for birders in Patzcuaro, Mexico. Her available species numbers are pretty exotic/impressive. But then so is the whole experience. Once my life list blew past 500 this year I lost interest in managing the “listing.” In fact listing and chasing was ruining my birding Zen. I’d say right now I’m in transition. When I started birding I began writing poetry again and published my first chap book called “Blue Sage Moon”. I have a second book titled “Seasons on Wings” waiting to be published. But now I’ve added photography to the mix. I need to raise the quality of my photos that will accompany the poems. And my shutter bug learning curve is rather steep at the moment. So presently you could say I’m a birder and student photographer. I use a pair of 8x42 Pentax DCF WP binoculars, a 60x80 Vortex spotting scope and a Nikon D80 digital SLR with and 80-400 telephoto lens. I use Cornell’s Birder’s Life List and Diary. Tough one. For most of the birds on my list, I can tell you time of day and circumstances about which they were sighted. Among my favorite sightings: the Yellow-Breasted Chats at Hulls Gulch singing their hearts out in the top of a tall snag, the hide and seek Sage Sparrows above the Snake River rim, the dark-morph Ferruginous Hawk south of Malheur NWR, a dozen Short-eared Owls at Malheur at sunset in a wonderful swirling aerial display, on an Ixtapa mangrove slough flushing a surprised Citreoline Trogon to a branch an arm length away, stumping across three White-striped Woodcreepers in Patzcuaro. And these are only seven very rich memories. How could I ever lose my birding jones? I love to read so I have to recommend more than five. In addition to the above I’d also recommend: The new The Owl and the Woodpecker by Paul Bannick (terrific), The Kingbird Highway by Kaufman, The Verb to Bird by Cashwell, A Bird in the Hand by Nelson and Nelson, The Big Year by Obmascik, To See Every Bird on Earth by Koeppel, Return of the Osprey by Gessner, A Wing in the Door by McQuay, The Grail Bird by Gallagher, Refuge by Terry Tempest Williams and All Things Reconsidered by Roger Tory Peterson. I’ve come to birding among the wonder-full community of people in this world that are all about this pursuit of our feathered friends. We train/share information with one another. My knowledge is a compendium of those shared resources. I am currently investing in learning as much about wildlife photography as I can. I can hold my own but I’m often reduced to an “I don’t know” and not afraid to make a referral. I’ve got a week’s birding trip planned for San Diego in May and another to Southeast Arizona next fall. Right now...The Long-eared Owl, the Black-backed Woodpecker, and the Pine Grosbeak. Birds live such a precarious life. Watching their brilliance and resilience is amazing but I wouldn’t want to miss a minute of my own place in creation. I stopped after surpassing 500. Chasing/Listing was taxing my treasured moments of birding bliss. To create detailed photographs of all the feathered friends I get to encounter. Do you have your own website, blog, or photo-sharing website? I am honored that the good folks at Princeton University Press would send me a review copy of the new second edition Birds of Europe. Now why would a country-boy in Idaho be interested in a field guide about birds in Europe?! Like many Americans, I am a mutt of European ancestry. I am 44% Danish, 31% English, and 6% Irish, Swedish, Norwegian, and German. 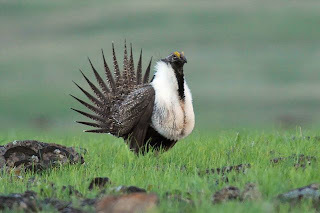 I hope to visit the lands of my ancestors some day for family history purposes, but also for some great birding! Browsing through this field guide made me kind of sentimental thinking about the birds my forefathers must have seen in their day. Looking at each page of this Birds of Europe field guide was a blast. It was so fun to see some familiar birds from North America, but often with different names than I know. I had to look at the Latin scientific names to see if they are the same species. For example, the Firecrests of Europe look a lot like the Golden-crowned Kinglets of North America. While these cousins belong to Regulus they are indeed separate species. It was fun to dream about seeing the many varieties of species unique to the old world. The cover is glossy cardstock with nice plumage marking charts on both inside covers. The cover, not being vinyl, was not made for real rugged outdoor use. The book is sized appropriately for a vest or small pack for outdoor use, but a tad on the heavy side due to all the content. There is no quick-reference-guide made out of different paper for easy reference, but the table of contents and index, along with headers at the top of each page work sufficiently well for looking up species. My favorite features of this field guide - that I have never seen or noticed before in other field guides - are the at-a-distance views of each species portrayed in their typical habitat and posture. The artistic renderings and marking pointers with concise text are Sibley-esque which I really like in a field guide. There are maps for most species, and those without are usually vagrants anyway. The maps cover all of Europe and the Mediterranean, including northern Africa. I wish the maps showed the borders of each country, but I suppose Europe is all about the European Union without borders, right?! (Bohemian) Waxwing - "In winter can eat frostbitten and semi-fermented berries, which may intoxicate the bird and render it temporarily incapable of flight. Has apparently developed a highly efficient liver (better than humans) to cope with this, since it usually recovers quickly." ♀ symbols (which I had to look up online to even see how to add such symbols using the keyboard). Because this Birds of Europe field guide uses different language to describe plumage and bird vocalizations it will be a valuable tool for North American birders to use as a reference when studying species that we share with Europe. It presents a new perspective that will enhance our understanding. Birds of Europe, Second Edition - text and maps by Lars Svensson, Illustrations and captions by Killiam Mullarney and Dan Zetterstrom and published by Princeton University Press can be purchased online for as low as $17.77 while its list price is $29.95.